Our Resident Evil 2 review is out right now in the wild, which means there's only a matter of days to go until the game releases worldwide. In this guide to Capcom's impressive remake, we'll be walking you through everything there is to know about the game, including the final Resident Evil 2 release date, all the Resident Evil 2 PC system specs released so far, and much more. USgamer: 4.5/5 - "I’m just going to go ahead and call it: Resident Evil 2 is the best Resident Evil game in the franchise and represents a series and developer at its peak. Don’t be distracted by the pretty graphics and gore, Resident Evil 2 is straight-up dangerous." Eurogamer: Recommended - "Capcom finds the perfect middle ground between old and new in this sterling remake." VG247 - "For my money, Resident Evil 2 Remake is right up there with Resident Evil 4 as the best game in the series." PCgamer: 89/100 - "A tense, challenging, and beautiful remake of a classic survival horror game, and with enough fresh ideas to make it feel excitingly new." Kotaku - "The raw experience of playing Resident Evil 2 is visceral, bloody, and often incredibly rewarding." It was in the trailer below that the release date of January 25, 2019 was revealed for Resident Evil 2. We finally got our first look the incredibly high definition Leon S. Kennedy in the trailer footage (swoon). On January 8, Capcom revealed that a very limited demo would be arriving for Resident Evil 2 later in the month. You can download One-Shot demo right now on PS4, PC, or Xbox One, but you've only got 30 minutes total play time, before the demo shuts off forever for your account. So stay on your toes, and get moving through the Raccoon City police station quickly! The Resident Evil 2 "1-Shot" Demo is coming to PS4, Xbox One, and Steam on January 11th! Throughout the extensive section below, we've compiled all the Resident Evil 2 Remake gameplay that we've both seen and played so far. The latest instance of this is the boss battle with Mr. X that you can see just below, as we worm our way around a derelict house to evade our pursuer. Capcom had been relatively quiet about certain characters in the Resident Evil 2 Remake, one of these being Ada Wong. The antagonist was finally unveiled back at Tokyo Games Show 2018, in the trailer just below. Just below, you can check out a further trailer for the Resident Evil 2 Remake. This trailer debuted in the middle of Sony's E3 2018 presentation in June, and it was here that the release date for the game was revealed. Earlier in the year, we got a chance to play the Resident Evil 2 Remake for ourselves at Gamescom, in Germany. Specifically, we got the chance to play a slice of Claire's campaign, and to find out what we made of our fight with the mutated William Birkin, head over to our Resident Evil 2 Remake Gamescom impressions. After the trailer that teased the remake at Sony's E3 2018 presentation, our sister site Eurogamer went hands-on with the Resident Evil 2 Remake. Series expert Aoife Wilson is playing 20 minutes of the game just below, which looks dark, cramped, and downright terrifying. Our sister site VG247 broke the news shortly after E3 2018 that the Resident Evil 2 Remake would feature adaptive difficulty. This was first debuted in the series back in Resident Evil 4, and basically replaces standard difficult options with a more fluid, interchanging difficulty system based on different enemies. We're not entirely sure on the situation surrounding the frame rate on the Resident Evil 2 Remake, as Capcom's recent statement was that "the final version of the game on all platforms is being is being developed targeting a variable frame rate of 60FPS. On PlayStation 4 Pro and Xbox One X, in addition to 4K output, the game will have a stable, high-framerate experience". Previously, Capcom brand manager Mike Lunn had stated that the game would offer 4K for the PS4 Pro and Xbox One X consoles. Lunn revealed that if you were playing Resident Evil 2 Remake in 4K however, you wouldn't be able to run it in 60 frames per second at the same time. We'll expect to hear more details further down the line, on whether Resident Evil 2 Remake will support 60FPS on all platforms for certain. Speaking of the hardware side of the Resident Evil 2 Remake, you can see both the minimum and maximum PC specs for the horror remake just below. 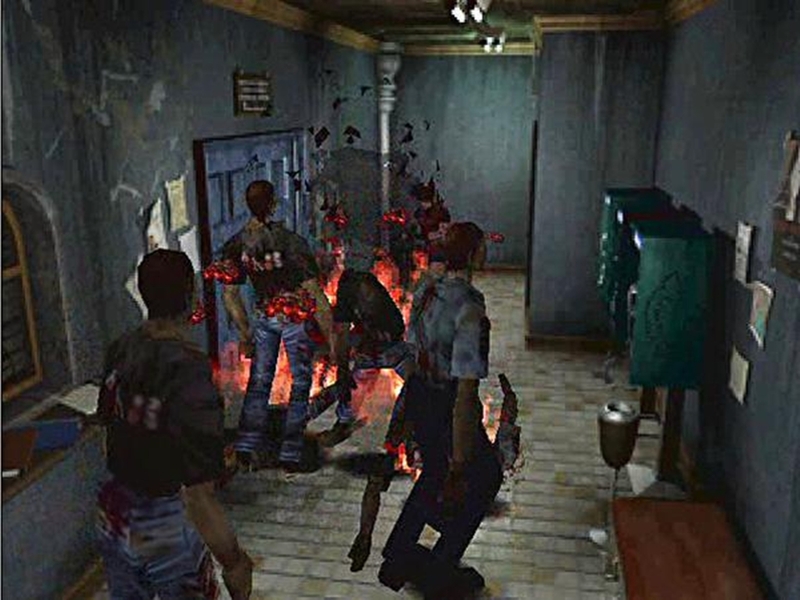 In an interview with Trusted Reviews at E3 2018, Resident Evil 2 Remake producer Yoshiaki Hirabayashi confirmed that both the Tofu and Fourth Survivor modes will be returning in the remake of the game. Firstly, the Tofu mode unlocks after completing both Claire and Leon's campaigns, and lets you undertake the game again as a large piece of tofu, armed with a knife. Secondly, the Fourth Survivor mode will also be present in the Resident Evil 2 Remake, letting you play as super agent HUNK. To unlock this mode however, you have to complete both Claire and Leon's campaigns with an A grade rating. Just above, you can see a new trailer for Resident Evil 2, that shows off Tofu in action for the first time. But, it also reveals Hunk to be featured in the remake, as we catch a very brief glimpse of the elite operative near the end of the footage. One thing that is even less unlikely to change is the story in the Resident Evil 2 Remake. Although we won't spoil any of the later story details of the original game (just in case you're yet to play it), the story of the 1998 game was set two months after the events of the original Resident Evil, and followed dual protagonists Leon Kennedy and Claire Redfield. The original Resident Evil 2 followed both characters as they arrived in Raccoon City, and while Leon is a police officer in the middle of his first day on the job, Claire is a college student, looking for her brother Chris Redfield (protagonist of the original Resident Evil). The story of the game isn't going to change in the remake, but it's worth noting that Capcom has announced that Leon and Claire will have entirely different campaigns. In a livestream at the very end of 2018, Capcom revealed that there would be a retro soundtrack DLC for the Resident Evil 2 Remake. This DLC pack won't just replace the updated soundtrack with the version from the original game from 1998, but it'll also replace new sound effects with their original counterparts. This will affect the whole game, giving the remake of Resident Evil 2 a nice throwback spin. Hit up either of the links just below, if you want to reserve your copy of Resident Evil 2 Remake ahead of time. As of right now, these are absolutely all the details we have to go on about the Resident Evil 2 Remake. But as we mentioned previously, make sure to keep an eye on this guide, as we'll keep you updated with any additional details announced by Capcom.